Enjoy a great sandwich at Italia Bakery and Deli's full service deli. We prepare sandwiches on our fresh baked Italian bread with the best quality meats and cheeses. 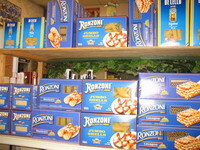 We specialize in fresh baked Italian breads and offer a wide variety of traditional Italian dishes. All of our dishes and salads are made from scratch with the finest ingredients. 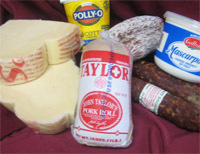 We also carry a selection of Imported and domestic meats and cheeses, such as Boar's Head brand products. 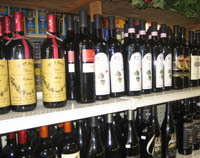 In our grocery, we carry the best Italian imports: olive oils, aged vinegars, San Marzano tomatoes, pastas, olives, beer, wines and many, many more specialty products. And, Italia Bakery also offers Holiday Specialties just like in Italy ! ! 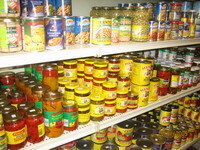 Below you'll find just a sampling of the fine products that we carry in our grocery and deli. 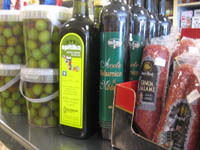 Stop by for a great sandwich and check out our authentic Italian products. The best Italian Deli in Granada Hills.